As filmmakers, we love cameras. We have access to a wide variety of cameras to better meet the requirements of any job or particular vision. DSLRs have tremendously evolved in the last 5 years, supplanting the use of actual “film” cameras. Using DSLRs allows to tremendously reduce production costs, while the latest models (Canon 5D Mark III, Nikon D800) offer flawless, broadcast-quality video. There’s been a lot of discussion in the filmmaking community over the best brand of DSLRs. Canon or Nikon? Cameras are tools with different qualities and aspects, so why limit ourselves? We use both Canon and Nikon DLSR cameras and lenses. And if you have a preference for one over the other, just let us know. The URSA Mini Pro, a professional digital film camera with 4.6K resolution that combines the incredible image quality of URSA Mini 4.6K with the features and controls of a traditional broadcast camera! You get a massive number of ergonomically designed controls on the side of the camera so you can adjust most settings by feel, and without ever having to take your eyes off the action. URSA Mini Pro also features built in ND filters, a status display and a revolutionary new interchangeable lens mount that lets you change between EF photographic lenses or PL, B4 and F mount lenses. URSA Mini Pro records up to 60fps and features dual C-Fast 2.0 recorders as well as dual SD/UHS-II Card recorders. URSA Mini Pro is lightweight and comfortable enough to use all day, has controls that are extremely fast to use, and image quality that’s far superior to broadcast cameras costing ten times more! These cameras are great for both controlled photographic setups and event coverage. The Canon 5D Mark III, especially with its low light capabilites is great for making things look great with natural, low light. With choice lenses, its powerful fullframe sensor produces beautiful, robust images. We use both the Mark II and III as go-to cameras for many narrative and documentary scenarios: high production value narratives, corporate interviews, live event coverage such as concerts, and even still photography. We also love our Nikon D800 and use it on similar productions scenarios along with our Canons. It too is a powerful DLSR with a fullframe sensor. 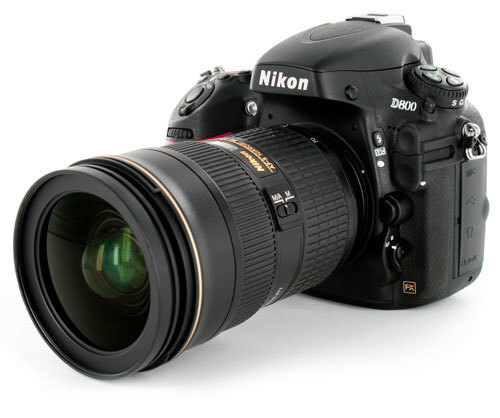 A notable distinction though is that Nikon has always remained compatable with its older lenses, so along being as comparably a useful and powerful camera as our Canons, it offers the creative opportinuty to use a lot of great older lenses. Both the D800 and Canon 5D Mark III produce excellent images for the web and are particularly useful to us as b cameras for cinema. The sturdy little DLSR is great for documentary and event coverage. It is also a great B-roll camera. With its high-resolution and design, lowlight and lens capabilities and 4k sensor, C300 cameras are great for cinema, feature films, interviews, and long-form documentaries. The C300 plays along nicely with DLSRs as B cameras. The Red Camera has become the standard for high production value HD shooting. Star Treck and District 9 were shot with this camera. It is great for cinema and commercial work. We shoot Red when we want highest available 4k sensor and image, however, for regular productions, file size is very dissuasive. We have a crew of knowledgeable and talented videographers who will help you make the best decisions and design stunning shots for you. Visit our Production Studio page to learn more.